Nuts and bolts! Nuts and bolts! We got screwed! At the time of this writing, cranes are being put into place and the diggers are having their blades sharpened as the days of the Rechenhausbrücke are about to be numbered. In other words, the group wanting to save the old stone arch structure lost out, whereas politics prevailed but in ways that would make Donald Trump gleem and offer them burgers and other fast food just like he did with the men’s college basketball champions Clemson University in New York. We were blindfolded, our cars sabotaged and our houses torched- all in the name of progress! All along, state and local officials vied for replacing the bridge with a dull modern piece of concrete and taking out the old structure, claiming that two bridges standing side-by-side can harm the flora and fauna of the region of the Zwickau Mulde River. 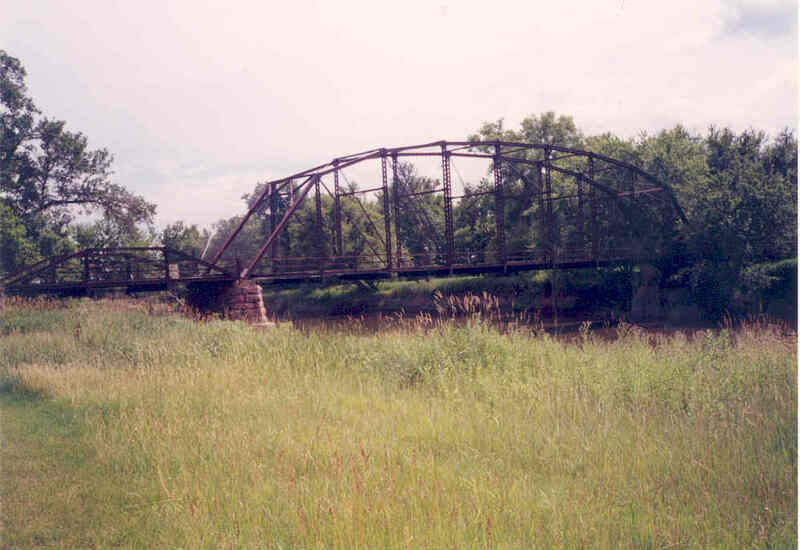 The new bridge was built on a new alignment, approximately 300 meters northeast of the old structure. The latter would not have stood in the way and if rehabilitated and converted into a bike crossing, would have served as a key crossing to the Mulde Bike Trail. There was no evidence of such laws that exist, nor were the political officials at our meeting on the Bridge in April were able to or willing to present that evidence. Furthermore, there are countless examples of new bridges that were built on a new alignment and the old one was left alone. In 80% of the cases, they were also converted into a recreational area in one form or another, even at a minimal cost and with some efforts from the volunteers even. Therefore, that argument of not having two bridges side-by-side is in my eyes is a straight out lie. In addition, the design of the new bridge and the approach that went along with that was meant to straighten out the highway and reduce the number of car accidents. Looking at the video below, one can be safe to say that yes, we have a wide bridge, but the approaches on each end is worse than ever- more curves on the east side; an unresolved intersection on the west end, featuring a driveway to the Rechenhaus Restaurant and a winding road going to Zschorlau and Schneeberg. The structure opened on 22 December and in the first six days, four accidents were reported at the new bridge. Again, a promise that came away as empty as a full glass of lies. Furthermore, the new bridge is supposed to be more stable than the old bridge, as the politicians on the local and state levels have claimed. And the old bridge is not capable of carrying any traffic because it has deteriorated to a point where rehabilitation is exorbitant. Let’s start with the first argument and the state of the new structure. Take a look at the picture below and ask yourselves how long until weight limits are imposed on this bridge, let alone the much needed measured to strengthen the bridge to hold traffic. If I compare this with similar structures, including those in northern Germany, the new Bockau Bridge will have its first work done on it in 10 years, full rehab in 20 years and a full replacement in 40 years. That is about as long as the Europabrücke at Rendsburg in Schleswig-Holstein. The bridge is 45 years old and upon time of its replacement by 2030, it will be closer to 60. The design has flaws and it will definitely show. A lie that will show its ugly face by 2030. 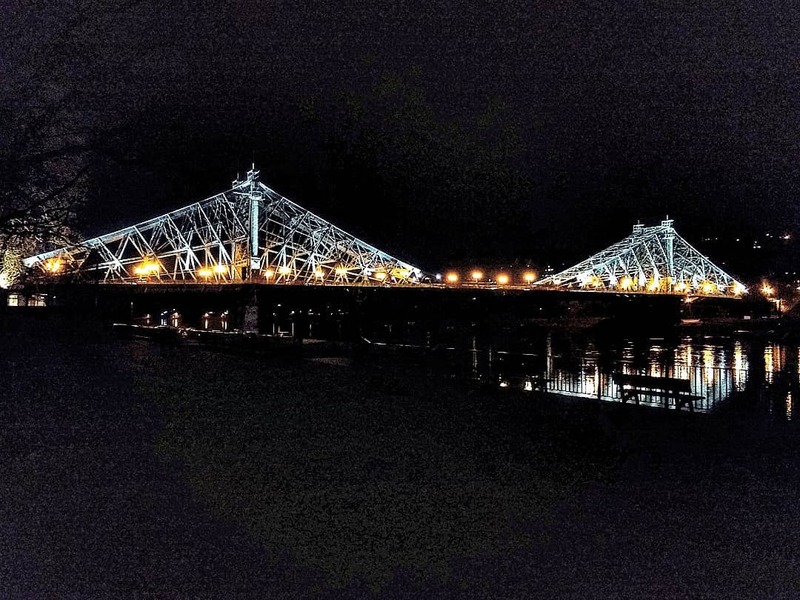 And with regards to the second argument: counterarguments were presented on the old bridge by members of the Cultural Heritage Office and other engineers who conducted inspections on the bridge prior to starting the replacement project in 2017. All of them claimed that the arch bridge is structurally sound. The only stress on the arch spans was the new decking placed on the structure in 1990 that was made of concrete. 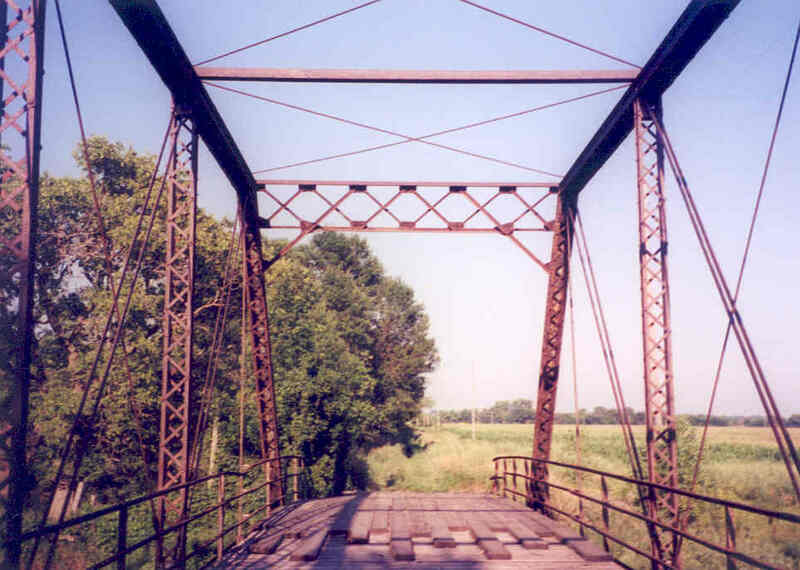 The information presented at our bridge meeting in April was met with counterarguments saying that the bridge was at the end of its functional life and it would be a liability. Comparing the two, the counterarguments were very emotional and straightforward with little or no information that is relevant and truthful. The arguments for keeping the bridge featured facts and figures based on the bridge inspections carried out. If the bridge was not stable enough to hold traffic, then a trip to Glauchau to the Hirschgrundbrücke would have been an eye-opener. A lecture by those who have worked with rebuilding the 1700s arch bridge would have forced the opponents of keeping the old bridge to reconsider and spend time with the facts. If the old Rechenhausbrücke is very unstable, then the Hirschgrund should have collapsed years ago after having sat abandoned for four decades. Again, a set of lies combined with sensationalism. Most disturbing was the lack of involvement of the public. 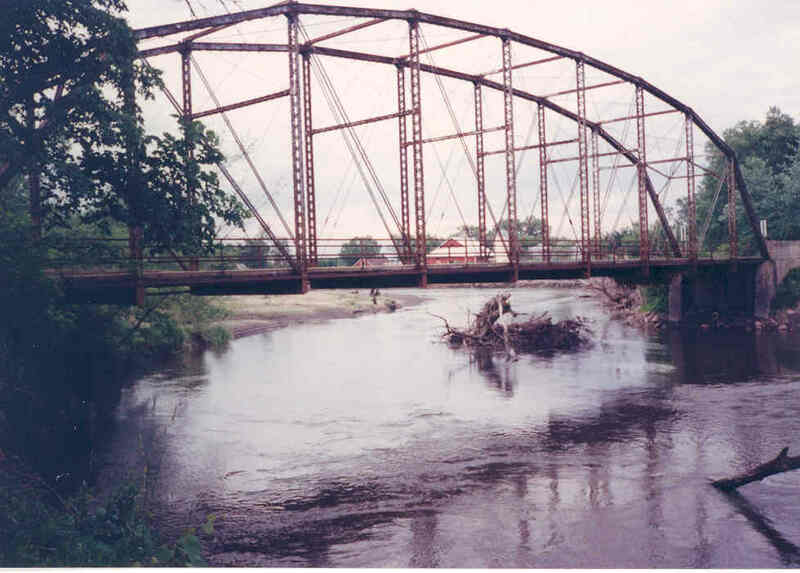 What I meant here was despite the media coverage and the founding of our group “Friends of the Bockau Arch Bridge”, designed to attract more people, the interest in saving and reusing the of bridge was extremely low. Part of it has to do with the location of the structure in a cluster of small villages with dwindling populations. The other has to do with the refusal to allow for a referendum on the bridge by the public, even if it was a handful. Suggestions for that or at least a public forum were turned down by the mayors of both Bockau and Zschorlau, which the bridge connects the two communities. Their claim was that they have to worry about the next generation. The question is what do the next generations want themselves. The will of both are very different because the political will seems to be to do away with history, whereas the will of the public, from what I’ve witnessed so far in my coverage, has been to keep the old bridge for use. Not many of us are interested in sitting in front of the computer playing video games. In fact I’m sitting here venting my frustrations over a decision that was ill-informed and simply one-sided. With a referendum or more public involvement, one would see that the public interest is different than what the politicians want. Lies and deception painted in gothic here. So what is the outtake on all this? Very simple. We had a lack of everything that was needed for saving the bridge. We lacked support because there was no chance for the public to express their opinions on the old arch bridge beyond our group. There was a lack of interest in saving the bridge because of the mindset that once the new bridge is built the old one must be decimated at any cost. There was a lack of will to intervene and allow for the public to express their input into the bridge. There was a lack of information on the costs and benefits of having two bridges, side-by-side, let alone rehabbing the old structure and repurposing it for bikes and pedestrians. And lastly, there was a lack of transparancy between the state and the public. Instead what we had were closed-door meetings where certain people were not invited, misinformation and lies about costs, etc., and tactics which were unfair to the people that wanted to keep a pice of history but can’t because of unjust assumptions. And the icing was the pumped up, over-the-top costs which made us finally give up. Your rabbit did pull come tricks out of the hat and we will thank you for it. It may not be long until we learn of the first repairs done on the new bridge but further more, when people start talking about the old Rechenhausbrücke after it is long gone. And many of us will still be alive to tell the story of how we saved it but failed because of obstacles that were too high to achieve and people who cheated their way into having the final say in removing the old structure. All that will be left of this bridge once the demolition commences are pictures, memories and a good T-shirt. Only then when the T-shirts are worn, the pictures shown, the stories told and all, will Dresden and Berlin regret what they did to the Erzgebirge.